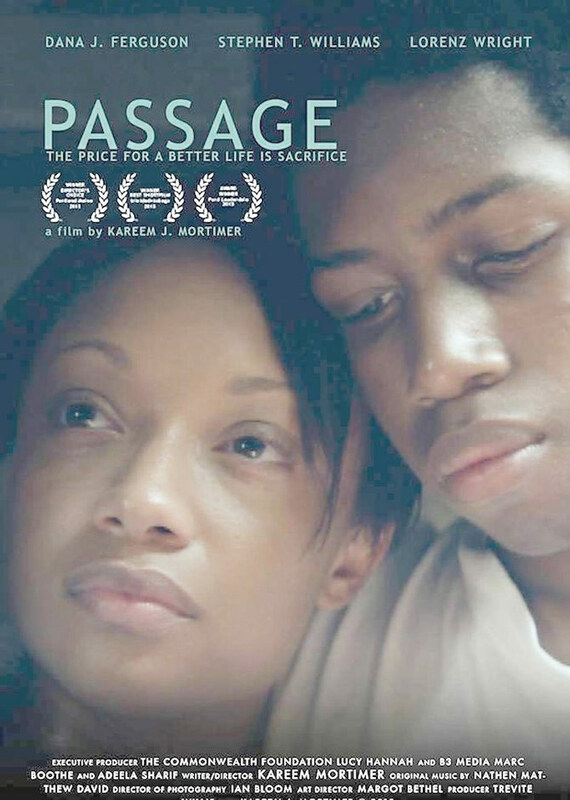 Award winning filmmaker Kareem Mortimer is seeking to take his short film Passage to the next level by developing it into a feature film called Cargo. Passage tells the story of a young woman and her brother fighting for survival while being smuggled into the United States on a fishing vessel. And Cargo depicts a white Bahamian fisherman who is approached by a security guard who suggests that he supplements his income by using his vessel as a means to transport people illegally into the United States. Mortimer told The Tribune, however, that for the venture to be both profitable and good quality to compete with major films, would require the co-founder of the Best Ever Film company to secure funding of up to $1.5m, which he admits has not been easy. “Investment into a film is about a lobby to have people put their trust in what we are doing to make this dream happen,” he said at the recent screening of Passage at Lyford Cay. Best Ever Film was co-founded by Mortimer and Alexander I Younis, a successful Austrian entrepreneur and artist. It was in The Bahamas that Mortimer and Younis realised that they both had the desire to create content to push boundaries, communicate fresh ideas, reflect the world they live in and resonate with their audience. The company was created to engage in the development, production and distribution of feature films, television projects and documentaries and aims to make unique, story-driven films that have appeal in both the US and foreign markets. The name “Best Ever” was inspired by Mortimer’s paternal great-grandparents, Winifred Gibson Mortimer and Ulric Mortimer Sr, where the former, in 1928, established the Best Ever Candy Kitchen in Nassau which is still in operation today as Mortimer’s Candy Kitchen as it produces varied and diverse candies. “Best Ever Film will continue in that tradition by developing, producing and distributing films that are competitive in the market place,” Mr Mortimer said, adding that securing the $1.5 million for the feature film would be a step in doing so. “The idea is to have a partnership that comes with a whole slate of projects and the persons who partners with us will get the guarantee that we will produce five films in the next five years,” he explained. Younis said that with the success of Passage he had no doubt that they can make Cargo a “profitable, good quality” film at that cost with the right backing. The short film Passage was screened in New Zealand at the Commonwealth Writers Forum, The Aruba International Film Festival, Encounters Film Festival-Bristol, Fort Lauderdale International Film Festival, FLIFF Grand Bahama (Winner, Best Film), Trinidad and Tobago Film Festival (Winner Best Short), Portland Maine Film Festival ( Winner), and the Havana Film Festival.